Every Disciple Must Not Miss! 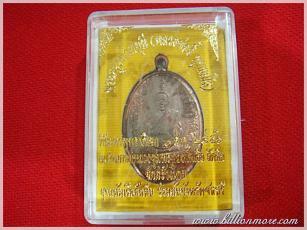 Present: serial Thai number '2592' on the medal. 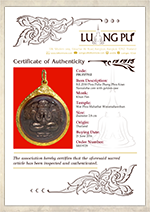 **Luangpu Iee was a famous guru monk in the past. Some people never forget the picture of LP Iee they saw. In World War 2, Thailand was damaged by bombs of America, one day of bombing, people saw LP Iee waving a monk robe and casting a spell at the same time. His power could blow off bombs from the plane to the sea, not to drop at Naval Base. That could save many soldiers and people. 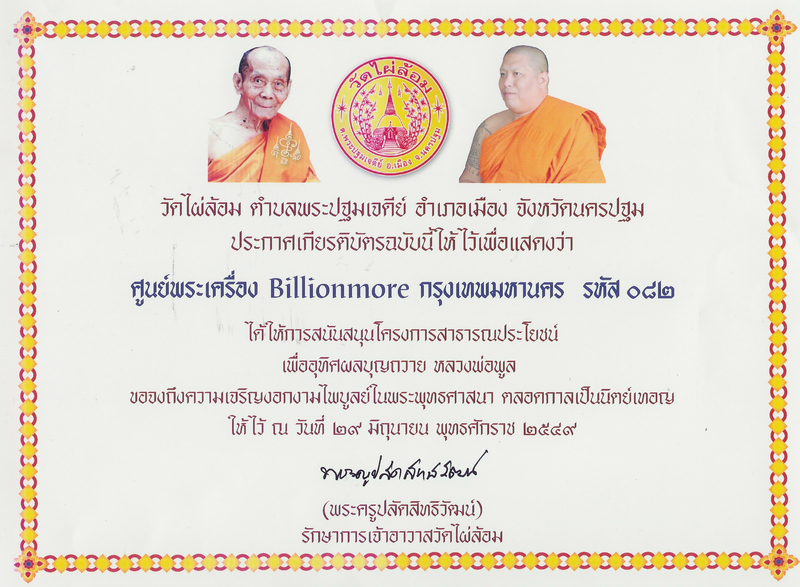 Since then, LP Iee has become holy monk in Thailand. 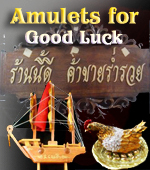 **Thus his amulets can save people from harm and danger. 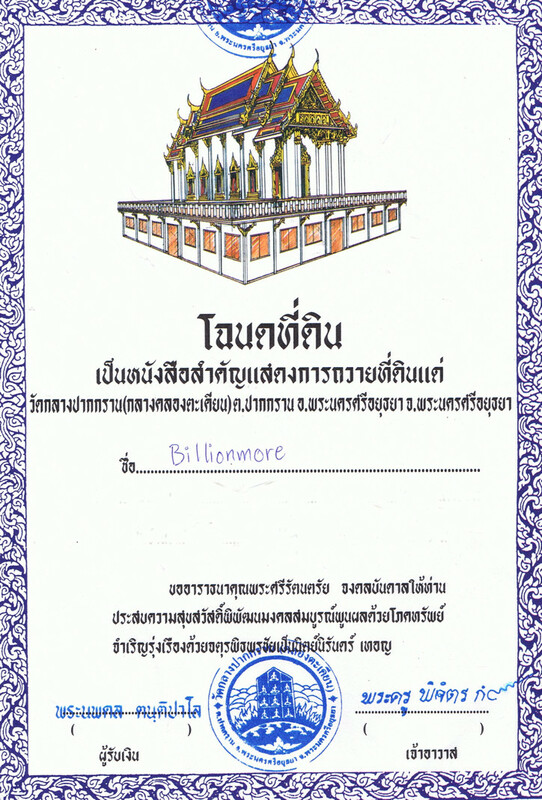 Sattahip Naval Base, Chonburi Provincial Administration Organization and Wat Sattaheep, Chonburi province (temple of LP Iee) in 2013 C.E. 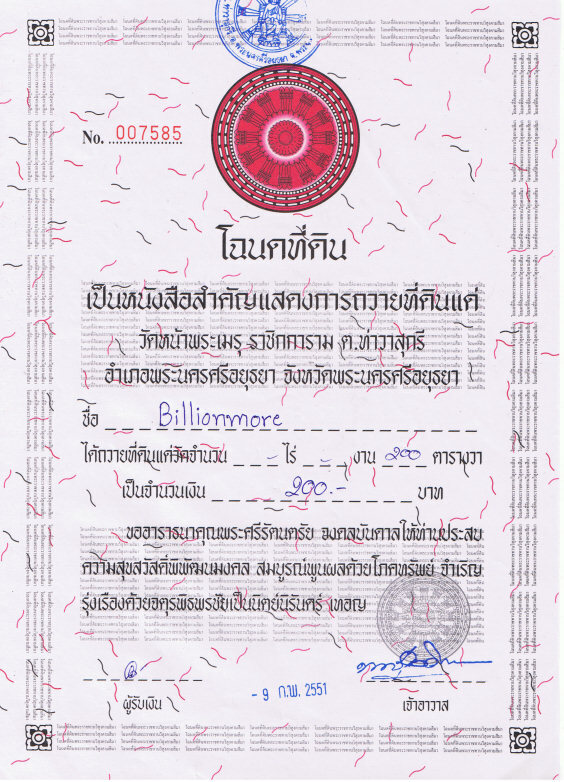 in order to give people a chance to worship holy LP Iee amulet and honor LP Iee as well. 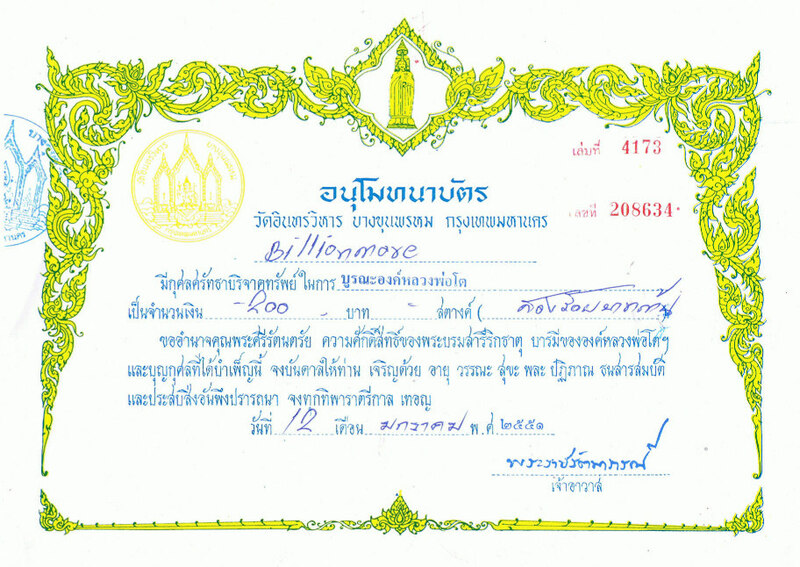 **Medal Casting Ceremony was held on June 27th 2013 in front of the chapel at Wat Sattaheep, Chonburi province. **On that day, there were many monks and disciples. The ceremony was very holy. Before the ceremony, it was cloudy and likely to rain, but when the ceremony started, the sky was clear and became sunny! 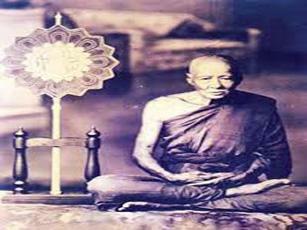 LP Iee, a former abbot of Wat Sattahip, Chonburi Province was a famous guru monk whom Thai people have faith in. He was a good monk whom people can pay respect wholeheartedly. He was born on 1 October B.E. 2408 (C.E. 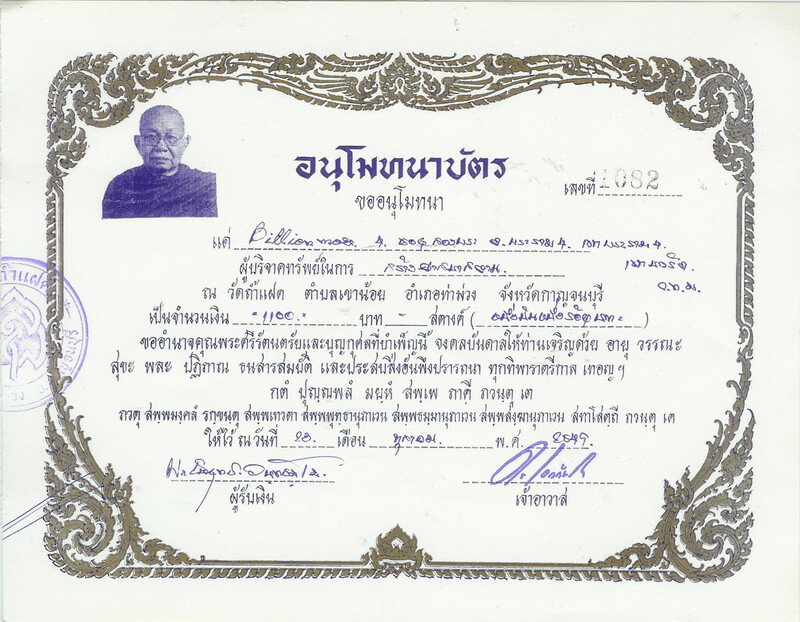 1865) in Chonburi Province. He got ordained when he was 25. 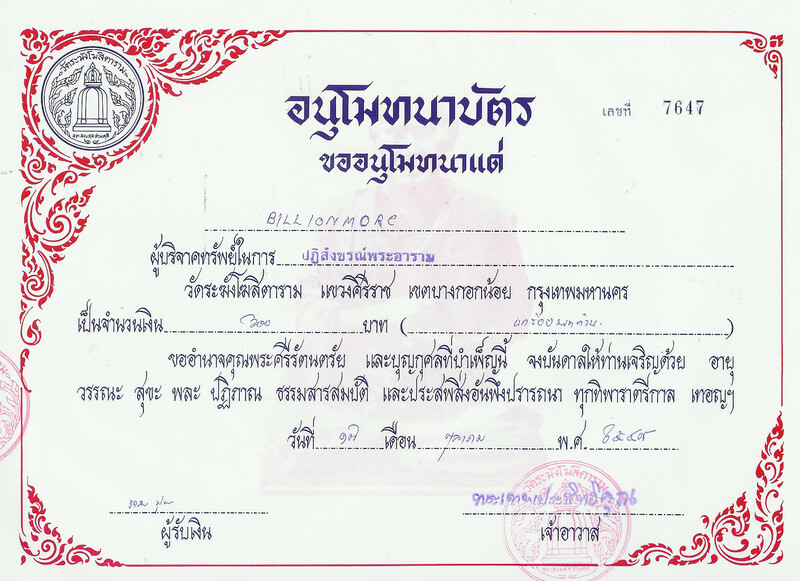 After ordination, he set his heart on practicing meditation very much and soon he became an expert in it. 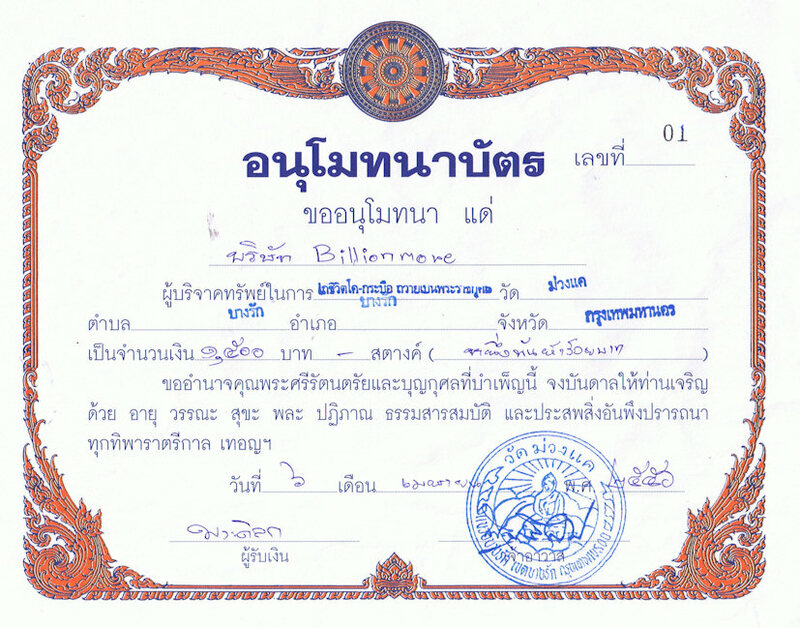 He was a disciple of LP Parn of Wat Bang Hia, LP Daeng and LP Muean. 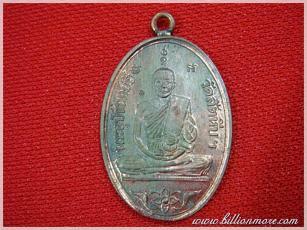 He established Wat Sattahip in B.E. 2442 (C.E. 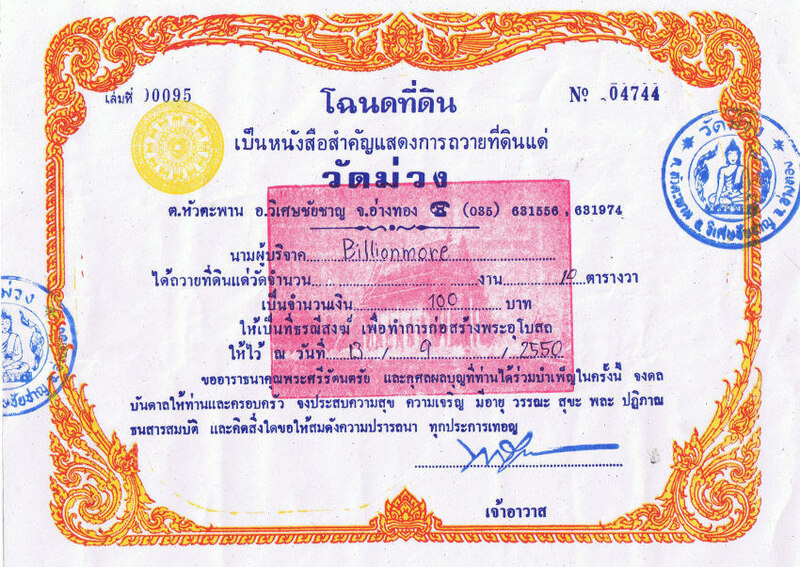 1899) in Chonburi Province. Also, he gave importance to education. 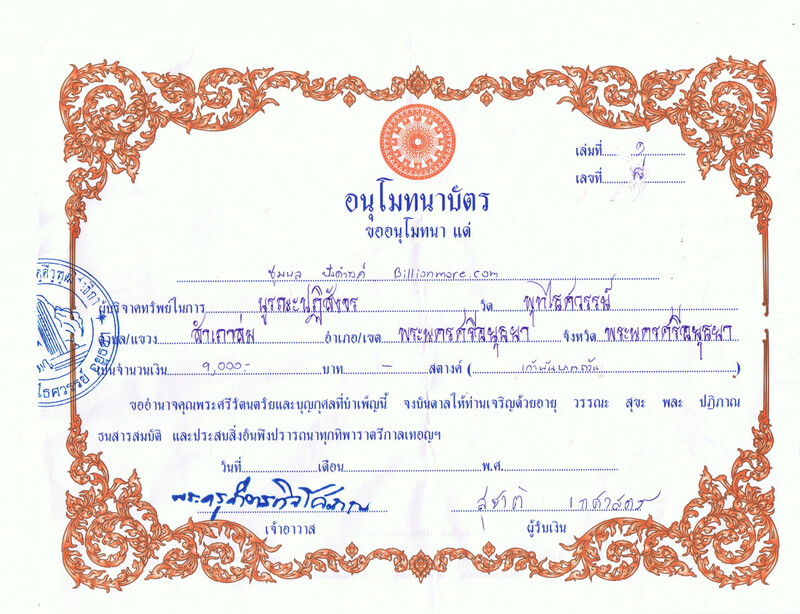 He established the local school Ban Sattahip School. It was a building in his temple. 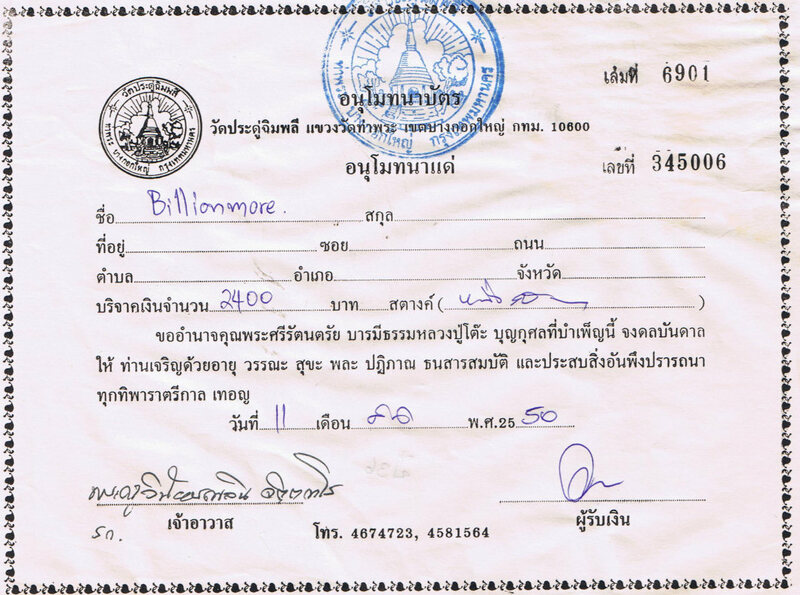 Then this school was moved to Ban Na Rd. 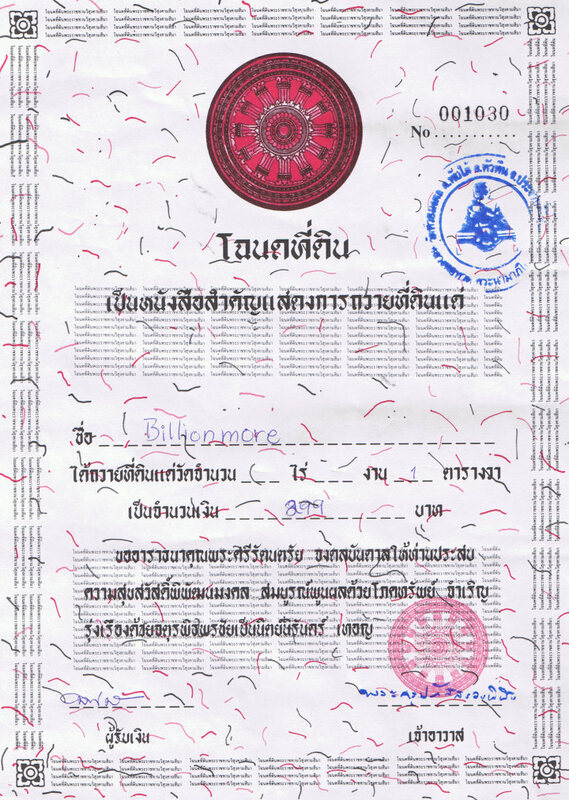 and was renamed Ban Na School. 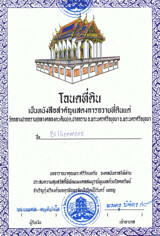 Now, the old building is the library of Wat Sattahip. Early B.E. 2489 (C.E. 1946), LP Iee began to be sick, a pock in his throat, but he did not worry much. With his strong mindfulness, he could bear his illness. His pock grew bigger and he did not get better. 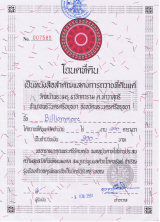 On 20 September B.E. 2489 (C.E. 1946), he passed away in meditation posture at age 81. Thanks to his virtue, people never forget him. When LP Iee was alive, he made powerful amulets for example the most famous one, Palad Khik. 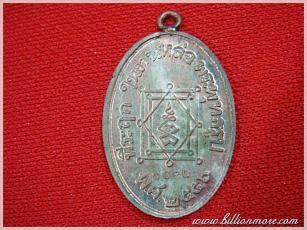 His amulets are truly powerful and wanted by a lot of worshippers. 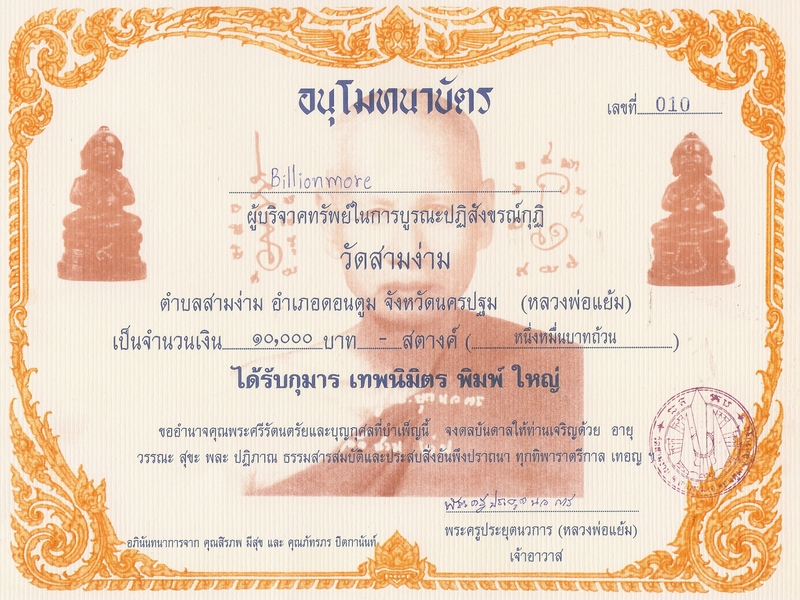 With uncommon magical power of LP Iee, people call him God of East Sea which east sea means Chonburi Province.